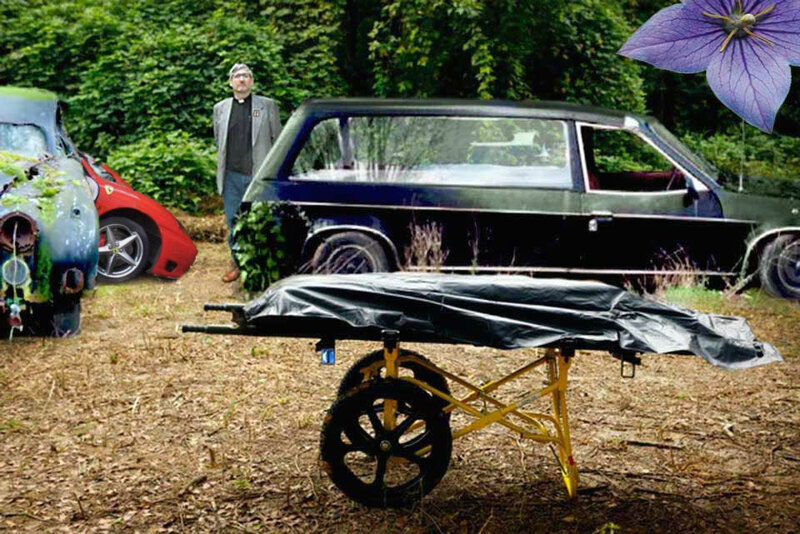 Some believe that even a Budget funeral director should use quality transport, and do just that. 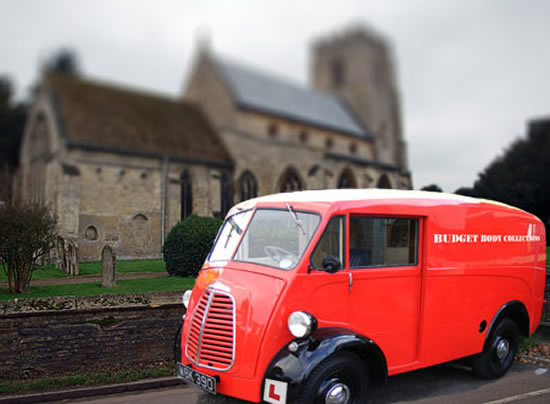 Our fleet of five vintage funerary vehicles were selected to meet our Budget funeral customers expectations, and as a deterrent, hopefully people would rather opt for our premium funerals than have one of these outside their door. One of our discreet body collections vans will be with you within 8 hours (2 mile radius of Woolston) of us being informed. This is a Man & Van service, and you will need to assist our operative in his duties, extra staff are available at £30 per person, £60 per person for collections of your dearly departed if they are higher than a second floor (including flats). Coffin transport from our Budget chapel of rest to the Budget Church is included in tier 2 funeral plans, this will be in one of our beautifully maintained VDP Princess hearses, the 200 yard trip usually takes 2 minutes, but this does depend on how many mourners are able or willing to push. 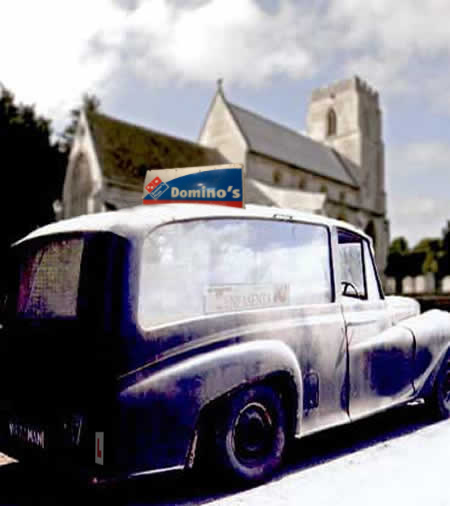 The cars date back to 1964, and were part of our very first funeral fleet here in Southampton, some things are just too good to throw away, we even found a forgotten body that had mummified in one! Extra charges are applicable if you wish to use our hearse as transport to the funeral pyres or over ground burial sites, ask our staff for the latest cash only prices on the day. All of our vintage cars can be fully valeted on the day of the funeral service, our gates open at 8am, help yourself to water but bring your own bucket and sponge. Super basic. You can borrow our wheelbarrow for free, this has proven to be a very popular choice for council funded funerals and Irish labourers. Please return the barrow to where you found it. 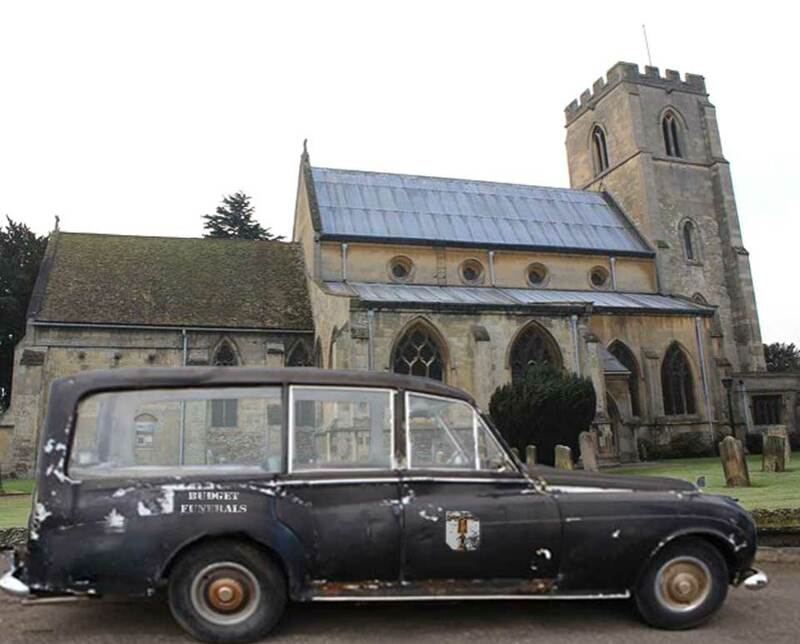 Rent our luxurious Daimler Hearse for only £70 per hour! Keeping prices low thanks to subtle targeted sponsorship. 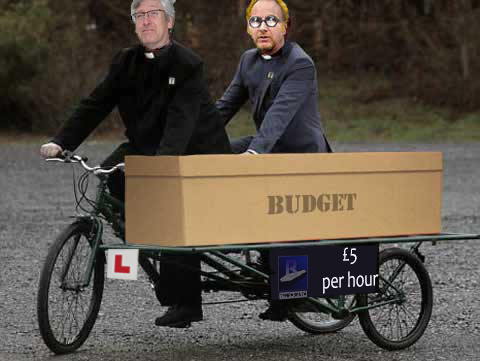 Why not try our tandem bicycle as demonstrated here by the vicars. 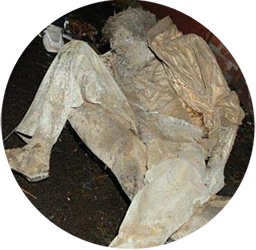 This could bring a touch of class or just novelty value to a mundane trip to the grave or pyres. Prices start at £20 for an hour for just the bike, up to £800 with a choice of vicars, which is pretty good, although our multi millionaire vicars are unlikely to want to attend a low key event, even at £800. Maximum weight for this service is 25 stone, the bicycle is old and there are a couple of hills to negotiate.